Following the publication of Trees of Bristol, the book’s author, poet Tony D’Arpino, confesses his obsession with all things green and leafy, and offers his advice on giving into your own inner tree-person, gracefully. 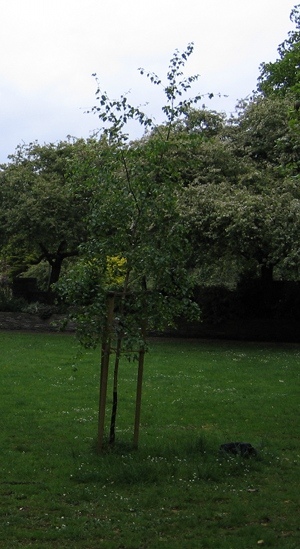 Why write a book about trees of Bristol? One answer may be because it wasn’t there. Or, because the trees were there. But the real reason I think is beauty. This beautiful area is intoxicating for a poet. Bristol is a truly special place. There are not many cities now in which one can see hedgerows, fields, and woods from the city centre. The idea of this book really started here in the streets of Bristol, which were once the woods. It’s a kind of dream book, because trees set me dreaming. Another reason: I’m a tree person. I was born near a forest and pretty much lived in those woods as a child. I’ve been lucky to have lived and worked in some the world’s most beautiful forests – the woods of New Jersey and the Atlantic seaboard, the redwoods of California, the rainforests of Hawai’i and the Pacific Northwest, and now Bristol and the West Country. What’s your favourite tree? I’ve been asked this a lot recently. There’s so many. The dogwood from childhood. 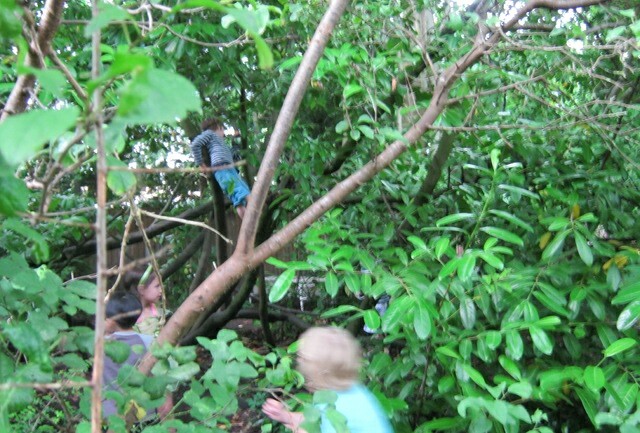 Do you always remember your first climbing tree? My new favourite tree may be the apple tree I’m planting this week at the allotment. What’s your favourite tree? The one you’ve just planted. Bristol has over 200 Legacy trees (aka Landmark trees) in Ashton Court Estate alone and England has more Legacy Trees than all of Europe combined. A small island, with more Legacy trees than the continent. There’s a reason for this: the Ancient Forest stewardship of our ancestors. Pollarding. Coppicing. Pleaching. Traditional, artisinal forest practices. It is a monumental heritage. 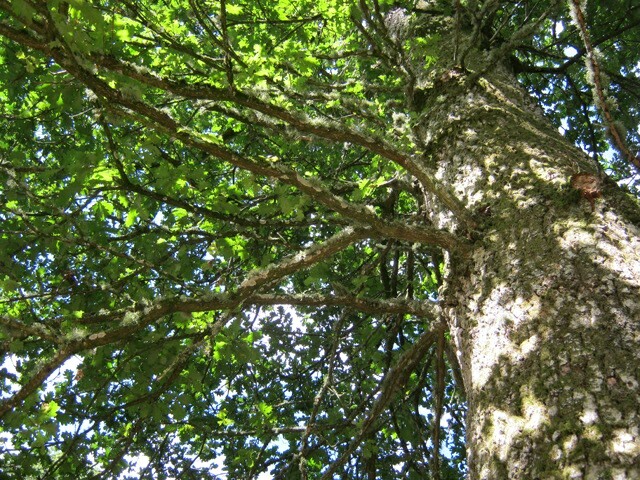 Humans are a very invasive species, but the English have behaved very socially with trees and forests. It’s something in the English soul – a part of this island’s mythological makeup. It’s why trees and forests pervade our consciousness. It’s a heritage we need to continue. Now I’ve never heard of an automobile that runs on charcoal; but of course Santiago Rusiñol is being metaphorical (with Catalan humour). He’s talking about protection vs destruction. Sawdust. It’s an emotional thing and causes civil disobedience. Don’t grumble, plant a tree. 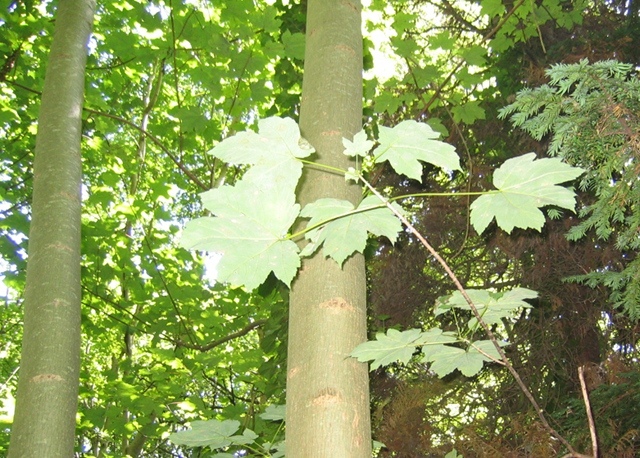 The Forestry Commission has a tree identification app called ForestXplorer but the coolest so far is called Leafsnap. It uses face-recognition technology to identify any leaf. There’s another tree app I’ve heard about: a leaf-noise app, which claims to identify any tree from the sound its leaves make in the wind. I’m pretty sure that was a joke I heard on the BBC gardening program. “Every forest is a dormitory for the atavistic being we’re still evolving from, who emerges nightly in search of his true boudoir. Every woods is a bedwoods for the backwards boy in my brain.” Bill Knott. Every forest is a dormitory for the future. The forest is like childhood, forever growing. There is a young soul in the most ancient tree. I have an illegal tree. It’s a very young oak tree I need to move and replant. It grew secretly in a large overgrown herbal mound of sage and rosemary on my allotment. Just discovered last autumn, it’s about three years old now. And of course you’re not allowed to have oaks on the allotment gardens. The high sheriffs say it must be removed. Its origin: one of the ancient oaks in the nearby hedgerow. If anyone has a place for it, I’ll be happy to bring it to you and help you plant it. And I’ll deliver anywhere. Some ships travel far from their acorns. 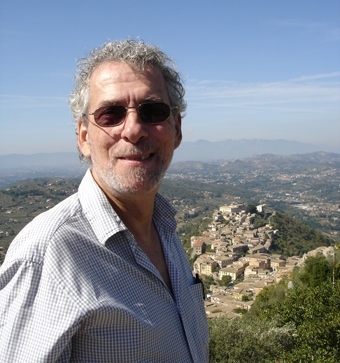 Tony D’Arpino is a San Francisco poet and writer now living in Bristol. He was a forest explorer from early youth. His first book of poetry was entitled The Tree Worshipper. Other books include The Shape of The Stone, Seven Dials, Greatest Hits 1969-2003, and Floating Harbour. His poem Pero’s Bridge appears in the anthology The Echoing Gallery: Bristol Poets and Art in the City, published by Redcliffe Press. This entry was posted in Writing tools and tagged Tony D’Arpino, writing tips by Judy. Bookmark the permalink.